Whether you are a new Christian, or have been a follower of Jesus for many years, the Disciple Bible Study program is designed for everyone who wants to develop their understanding of The Bible and of what it means to be a Disciple of Jesus Christ. Informational - You will learn the major Biblical themes of both the Old and New Testaments, and how they provide the foundation of the Christian faith. Enriching - Even long-time Christians experience a deepening of faith through Disciple, that is unlike any other Bible study. Spending dedicated time in God's Word gives greater meaning to your life. Transformational - Attitudes and priorities are changed for those who commit themselves to the Disciple study. Designed for Fellowship - In a small group setting, your faith is nurtured as fellow Christians share their insights, thoughts, questions, worries, hopes and love under the guidance of the Holy Spirit. Five separate Disciple courses are offered at Ankeny First, each with a different focus. If you are new to disciple, it is recommended that you complete Disciple 1 first. After Disciple 1, you may enroll in Disciple 2, Disciple 2 Fast Track, 3, or 4 in any order, depending on when they are available. Below is a listing of the Disciple classes and their descriptions. Disciple 1 is the foundation of the Disciple Bible Study program. It gives equal time to both the Old and New Testaments, emphasizing the wholeness of the Bible as the revelation of God. Disciple assumes that the Bible is the key to renewal in the church. It recognizes the human-divine nature of the Bible. Disciple aims at transformation, not just information and calls on persons to submit themselves to examination by Scripture, to put themselves under the power of God's Word, and to be changed by God's Word. Disciple invites persons to bring their experiences and struggles to the Scripture. During the course of thirty-four weeks, Disciple 1 groups will move through the biblical story from Creation to the New Jerusalem. The titles of the sessions along with theme words; theme verses; and major persons, events, and topics will set the sequence of the biblical story in the minds of the participants. The principal Scripture for each session follows the chronological movement of the biblical story. Since 1987, Disciple Bible Study has reached nearly 3 million people worldwide, introducing the grand sweep of Scripture in a 34-week format. Now Disciple Fast Track maintains the integrity and principles of the original study, but its modifications can better meet the needs of a hectic world. Participants still receive a thorough introduction to the Bible, but in almost a third less time. Fast Track is not a replacement for the original; it is simply a practical option. Disciple Fast Track uses the same Disciple Study Manual, but the class time and course length have all been adjusted for busy lifestyles. New print and video materials, which are extremely easy to use, give participants the tools to absorb and retain what they learn in this shortened format. Please consider joining in if you have always wanted to take Disciple 1 but have not been able to make the commitment. This is also a fun opportunity for those who have taken Disciple 1 before, as the format is different. This thirty-two week study selects specific portions of Scripture and delves deeper into them. Depth study of Scripture will be the work both of individual members and of the group in its weekly meeting. Equal attention is given to Old and New Testaments with concentration on four books: Genesis, Exodus, Luke, and Acts. INTO THE WORD INTO THE WORLD is prepared for those who have completed DISCIPLE 1. This study proclaims the transforming power of Scripture while teaching Bible study skills that take participants deeper into the Scripture. The importance of keeping Bible study related to witness is reinforced while participants are encouraged to practice spiritual disciplines arising out of Scripture. The purpose is to change habits and transform lives. The study also emphasizes the rhythm of coming to God and going for God, of being in the Word and in the world individually and corporately. This study understands the growing Christian as under discipline in community and in ministry to the world. INTO THE WORD INTO THE WORLD approaches all experiences of life as opportunities for faithful witness and service. REMEMBER WHO YOU ARE is prepared for those who have completed Disciple 1. Resident in the title is the driving idea in this study – the connection between memory and identity as the people of God. The word You in the title is meant to be heard both in its singular form (the individual) and its plural form (the community). We are a community of memory. Participants in this thirty-two week study will read the major and minor Old Testament prophets, with the exception of Daniel, and will read the thirteen letters traditionally attributed to Paul. Several themes weave their way through the study – the call to remember; the call to repentance; the need for renewed vision (eyes to see, ears to hear); and the place of community. The prophets and Paul are continually calling hearers and readers back to their God and to a sense of who they are as a people “set apart”. UNDER THE TREE OF LIFE is a 32-week study prepared for graduates of Disciple 1. The word under in the title is meant to convey invitation, welcome, sheltering, security, and rest – home at last. The Hebrew version of what Christians call the Old Testament has three divisions: Torah (the first five books of the Bible), the Prophets, and the Writings. The Writings include all the books that are not part of the Torah or the Prophets. UNDER THE TREE OF LIFE concentrates on the Writings in the Old Testament – Ruth, 1 and 2 Chronicles, Ezra, Nehemiah, Esther, Job, Psalms, Proverbs, Ecclesiastes, Song of Solomon, Lamentations, and Daniel. New Testament Scriptures include the Gospel of John; 1, 2, and 3 John; James; Jude; and Revelation. Emphasis on the Psalms as Israel’s hymnbook and prayer book leads naturally to an emphasis on worship in the study. Present though the entire study is the sense of living toward completion – toward the climax of the message and the promise, extravagantly pictured in the Revelation. JESUS IN THE GOSPELS invites believers to look at Jesus in each of the four Gospels and ask the question, "Who is the Jesus that you see?" This study will deepen discipleship through better understanding of the biblical texts and their message. Two questions frame this study: "Who is the Jesus you bring with you to this study?" and "Who is the Jesus you take with you from this study?" JESUS IN THE GOSPELS takes participants on a journey from one question to the other. JESUS IN THE GOSPELS focuses on the portraits of Jesus found in the four Gospels--Matthew, Mark, Luke, and John. The word inused in the title signals that this study takes an approach different from the familiar "life and teaching of Jesus" approach of reading stories and accounts of what Jesus said and did in order to draw conclusions about their meaning and about who Jesus was. This study looks at the way each Gospel writer presents events and teachings and at the picture of Jesus that emerges in each of the Gospels. Disciple classes are interactive, group discussions. Classes are typically broken up into discussion among the entire group, as well as smaller groups or pairs within the class. The more you participate, the more you and the entire class will benefit. In addition, a video segment is viewed at each session, offering insights from numerous theological experts. I have never read the Bible. Will I feel out of place in a small group setting with such a limited background? No! Disciple 1 – Becoming Disciples Through Bible Study - is the introductory course in the Disciple Series, and it covers the entire Bible, from beginning to end. It is meant to reach both new comers to the Bible, as well as to bring greater depth and insight to more seasoned students of Scripture. Students new to Disciple are required to take Disciple 1 first. Disciple 2, 3 and 4 can then be taken in any order, depending on when they are offered. What type of materials do I need for this class? Choose a good study Bible that contains introductory articles, notes, maps, charts, illustrations, glossaries, dictionary, concordances, and indexes. We recommend the The New Interpreter's Study Bible (NRSV). You will need to purchase a course manual, at a cost of $40. What is the time commitment for taking a Disciple class? What size are Disciple classes? Groups are typically eight to fifteen people, with twelve being ideal. Class size is determined by interest in the class and leaders available. Disciple students need to be present at every weekly session. Absences should be limited to only unavoidable situations. The benefits of Disciple to both you and the rest of the group will be lessened by multiple absences. You should notify your leader if you must miss a session. You will also need to keep up with the reading and arrange to view the video on your own. What are the differences and similarities among Disciple 1, 2, 3, and 4? Disciple 2 : Covers Genesis, Exodus, Luke, and Acts (8 lessons on each book). Disciple 4: Covers the Old Testament – Ruth, 1 and 2 Chronicles, Ezra, Nehemiah, Esther, Job, Psalms, Proverbs, Ecclesiastes, Song of Solomon, Lamentations, and Daniel. New Testament Scriptures include the Gospel of John; 1, 2, and 3 John; James; Jude; and Revelation. 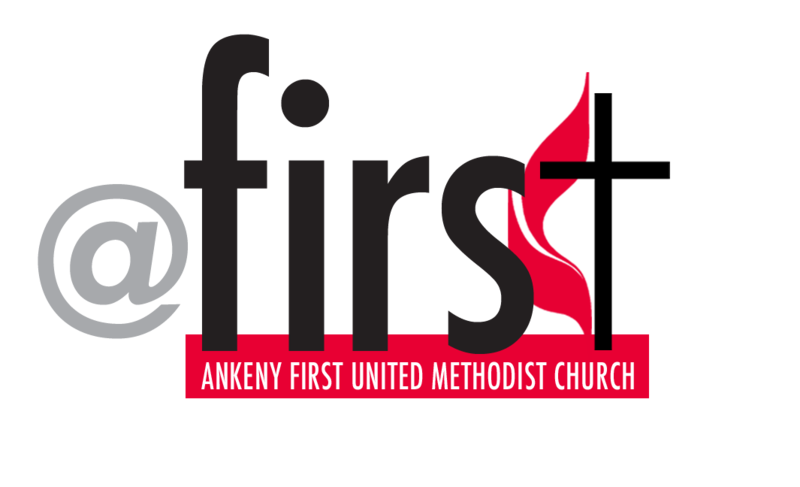 Is Disciple Bible Study for Ankeny First United Methodist Church members only? No. It is an ecumenical study, open to both church members and non-members. When are the next Disciple classes available, and how do I sign up? Contact our office to find out when the next disciple class will be offered.